The Intel Core i5-2450M is a fast dual core processor that first appeared in Dell laptops in 11/2011. It is based on the Sandy Bridge architecture and offers Hyperthreading to handle 4 threads at once (for a better usage of the pipeline). Compared to the faster Core i7, the i5 offers a smaller last level cache of 3MB. The base clock speed is 2.5 GHz but due to Turbo Boost it can reach 2.8 GHz (2 cores active) and 3.1 GHz (1 core active). Compared to the 2510M, the 2450M does not support VT-d and Trusted Execution functions. However, the integrated gpu offers a higher Turbo Boost clock rate. Sandy Bridge is the evolutionary successor of the Arrandale architecture. The most noteable improvements is the improved Turbo Boost 2.0 and the integration of the graphics card into the 32nm CPU core. The i5-2450M offers an integrated graphics card (Intel HD Graphics 3000) which is clearly faster then the older Intel HD Graphics in the Arrandale CPUs. As the new GPU is included in the CPU, it is also manufactured in 32nm and shares the fast level 3 cache with the CPU cores (using a new ring bus). In the 2435M it is clocked with 650 or 1300MHz (with Turbo Boost). Due to the improved architecture and the new Turbo Boost 2.0, the average performance of the Core i5-2450M is higher than a similar clocked Arrandale Core i5. 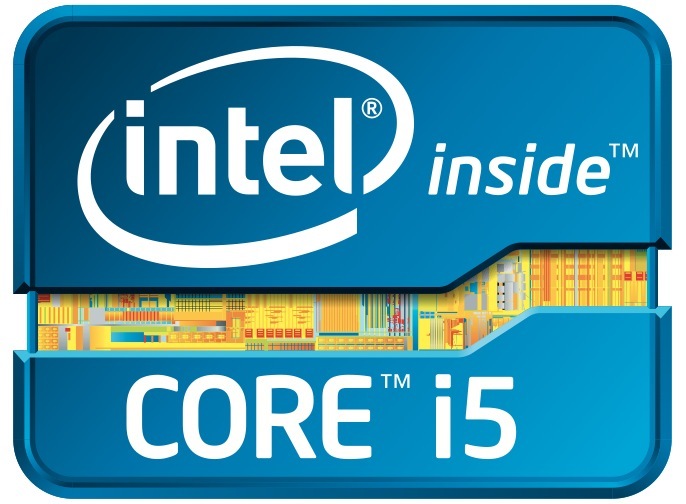 Looking at benchmarks of slower clocked Core i5 CPUs, the i5-2450M should position itself slightly above the old Core i5-620M and is therefore suited even for demanding tasks.